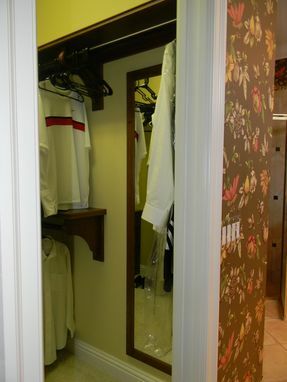 The owners of this closet had a nice white melamine closet but it did not flow with their furniture of adjoining bath and bedroom. They felt it was too compartmental. This closet is built of solid cherry all hand made right down to the corbels. The oil rubbed bronze rods and hardware give it the traditional warm feel requested. The design is open but provides plenty of storage without being confined. There is a his and hers side and two mirrors. 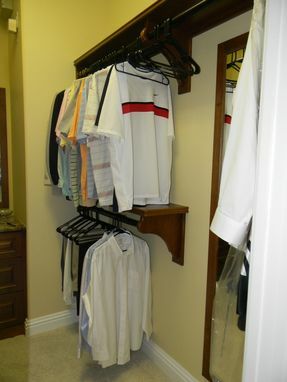 One in behind a clothing rod to storage is not lost but is still available for use by pulling back clothing. 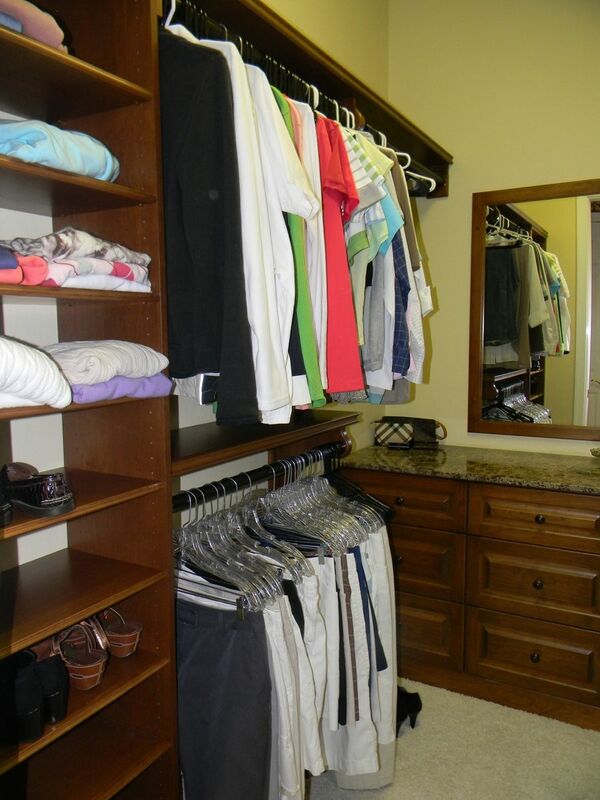 Dimensions: This is a smaller closet in a vacation home. It is only 101" by 72" but by using more double hang, we were able to maximize the space. 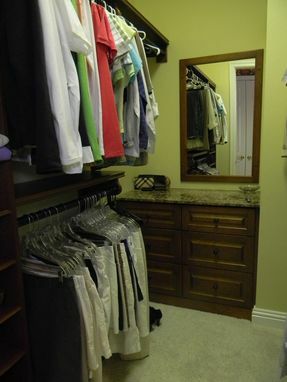 There is a small chase in one corner creating a perfect space for a dresser area with a mirror above.